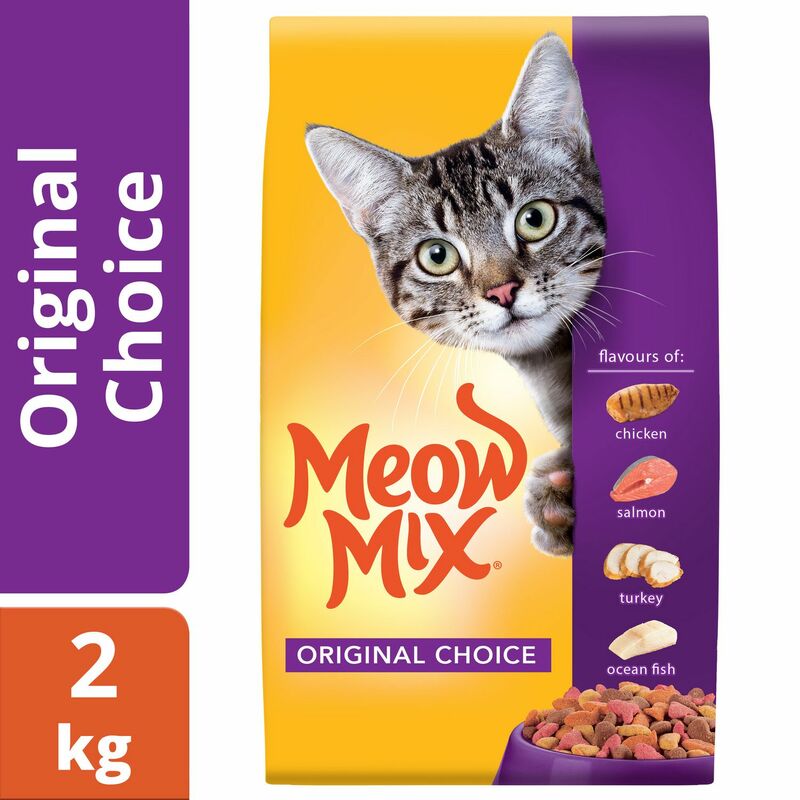 With the delicious flavours of chicken, turkey, salmon, and ocean fish, cats ask for Meow Mix Original Choice by name. 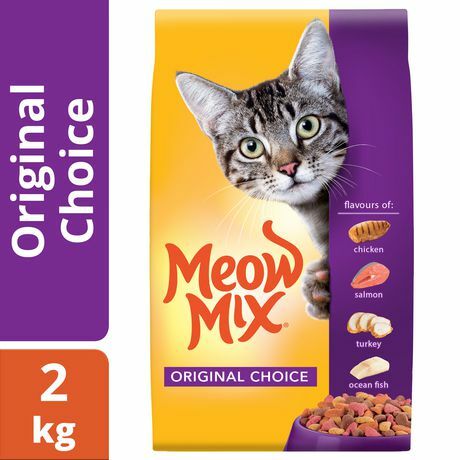 It’s the perfect mix to help you connect with your cat over a healthy meal. 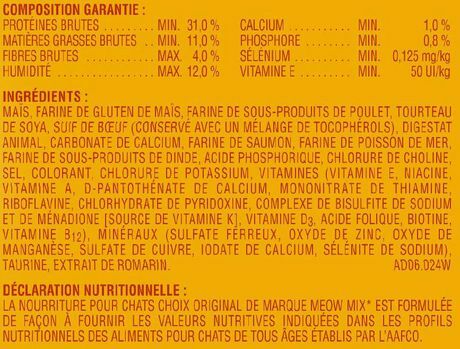 •100% complete nutrition for kitten and adult maintenance. •Made with high quality protein. 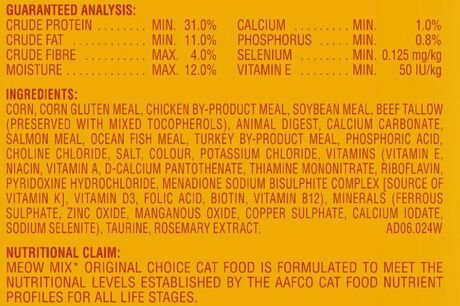 •Formulated to meet the nutritional levels established by the AAFCO Cat Food Nutrient Profiles for all life stages. Corn, corn gluten meal, chicken by-product meal, soybean meal, beef tallow (preserved with mixed tocopherols , animal digest, calcium carbonate, turkey by-product meal, salmon meal, ocean fish meal , phosphoric acid, choline chloride, salt, colour, potassium chloride, vitamins (vitamin e, niacin, vitamin a, d-calcium pantothenate, thiamine mononitrate, riboflavin, pyridoxine hydrochloride, menadione sodium bisulfite complex [source of vitamin k], vitamin d3, folic acid, biotin, vitamin b12), minerals (ferrous sulphate, zinc oxide, manganous oxide, copper sulphate, calcium iodate, sodium selenite), taurine, rosemary extract.